In Nassarawa, Benue and Plateau states the Bank of Industry (BOI) has signed an agreement with OXFAM for the disbursement of Two Hundred Million Naira (N200, 000,000) to OXFAM’s Village Saving and Loan Associations (VSLA). The funding was part of the Federal Government Enterprise and Empowerment Program (GEEP), aimed at strengthening the livelihoods capacity and resilience of poor households in rural communities. Oxfam Deputy Country Director, Constant Tchona, in a statement over the weekend, said the partnership was borne out of the need to target the most marginalised and hard to reach in the rural communities in line with the objectives of the Federal Government Social Intervention policy. The funds, tagged “GEEP MarketMoni,” is the first batch of the loans meant to expand the activities of about 500 farmer groups in some communities in the three states. 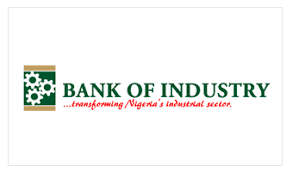 BOI is executing the Federal Government of Nigeria’s microcredit initiative, the Government Enterprise and Empowerment Programme (GEEP). OXFAM Implementing Partners, Young Men Christian Association (YMCA), Nigerian Association of Women in Agriculture (NAWIA), and Cocin Community Development Program (CCDP) will be responsible for monitoring and supporting the beneficiaries to effectively utilise the funds in Nassarawa, Benue and Plateau respectively. Oxfam’s Village Savings and Loans Associations (VS&LAs) are self-managed community-based groups that provide their members access to basic financial services. It is self-selected 15 to 25 individuals who meet regularly (usually weekly or fortnightly) to save and, if desired, borrow for short periods, paying monthly interest at a rate set by the group. “Apart from the primary goal of increasing access to credit to the ’unbanked’ at the bottom of the pyramid, the scheme has significantly improved community cohesion and active citizenship in communities where the project is being implemented,” noted Tchona. He said the coming on board of BOI would boost the scheme and enable the rural farmers to improve their productivities and increase their earnings.